Göreme is a town in the Cappadocia region of Turkey. It was there I had a meal baked in a ceramic pot. I got to break the pot when my Testi Kebab was done cooking; the instruction was to raise the mallet to hit the base in a downward motion. I managed to pour the food onto my dish without too many ceramic bits falling in. Tasty. 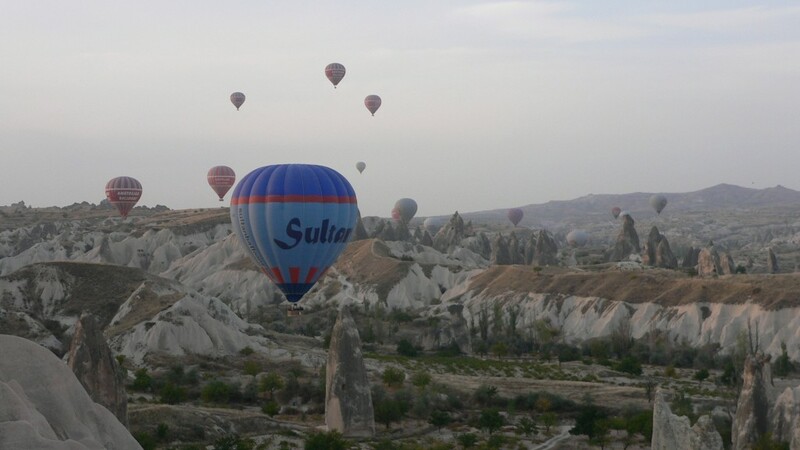 It was in Göreme that I took a hot air balloon ride at dawn over the strange landscape made even stranger by the sky-scape filled with other hot air balloons. we didn’t just soar but went up, down and around so we would head toward a rock tower, look like we were going to crash and at the last minute, rise up enough to skim over it. 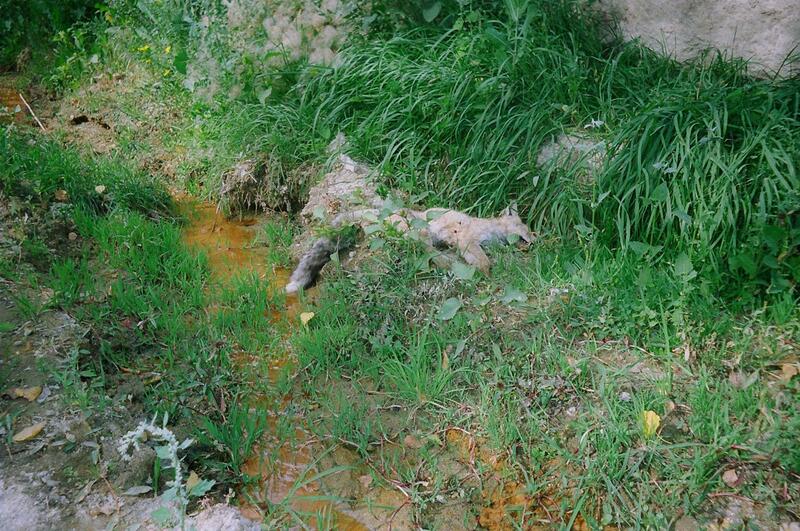 It was in Göreme that I got a bit lost on a walk up, down and around rocks, and came across a dead white fox. One wavy ledge of rock looked like a line of camel paws; it was as though they each had stuck out one paw for a choreographed dance. The rock was mostly beige with brownish taupe tops so that the scenery would have made for a difficult jigsaw puzzle. It was in Göreme I visited a home carved into the rock cliffs that had a nice cool cellar feel to the air. The host served dried apricots soaked in grape marmalade; he also played a song on wooden spoons! It was in Göreme I spent hours walking about caves that had been used by early Christians as places of worship and still had some religious paintings visible on the cave walls. Among them was Jesus on a donkey and St. George with the dragon. People drive cars, motor scooters, horses, and farm equipment on the roads. Wedding license plates on cars have the first names of the groom and bride. It’s funny that I can’t seem to find a story in all this. 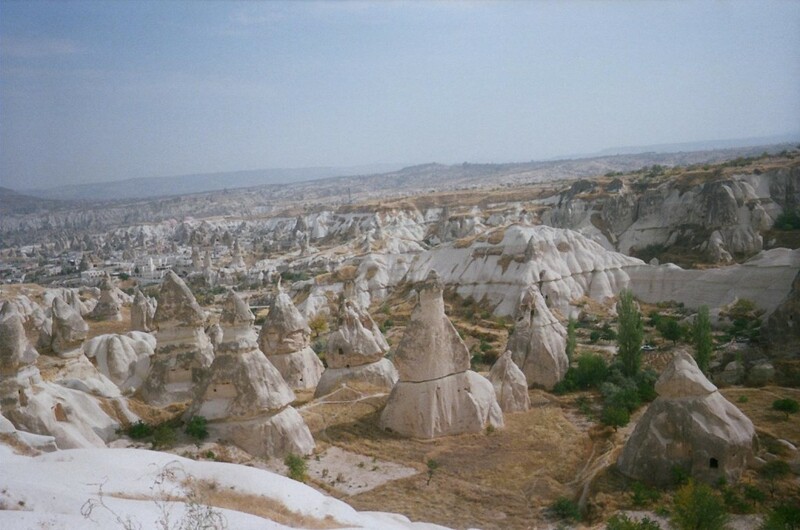 But do stop in Göreme if you happen to be in the Kapodokya region of Türkiye. It looks like a great setting for a story. 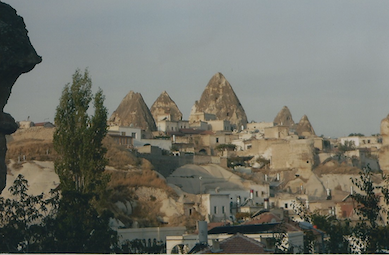 Goreme – people live there.